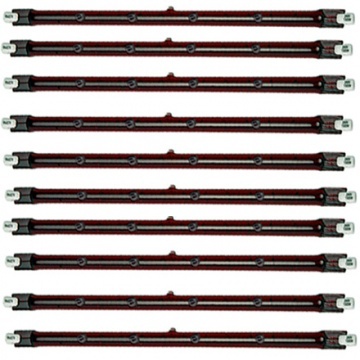 Ten Pack of 254mm 1.3 kW R7S / R7 ruby heater bulbs. The push fit is the most common type for 1.2 kW & 1.3 kW indoor and outdoor wall mounted smoking shelter or patio heaters. If your wall heater uses push fit 254 mm bulbs then these bulbs will almost certainly be correct for your heater. 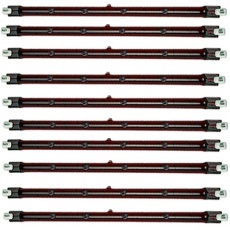 10 x 1300 watt R7S R7 ruby heater bulbs. 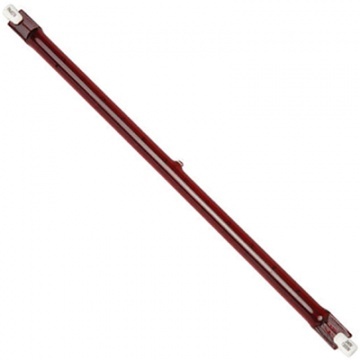 Fits indoor and outdoor halogen infrared (1200 - 1300 watt) 1.2 - 1.3 kW heaters.